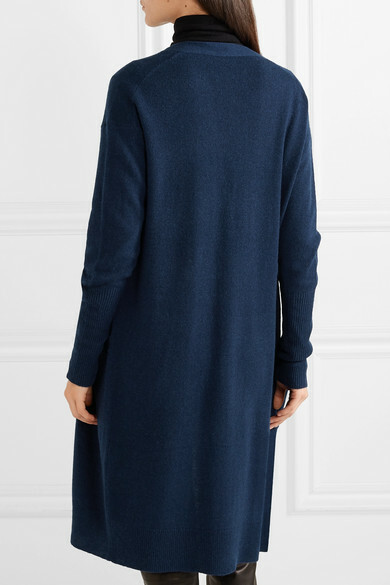 We can always count on Theory for understated, luxurious wardrobe staples like this cardigan. 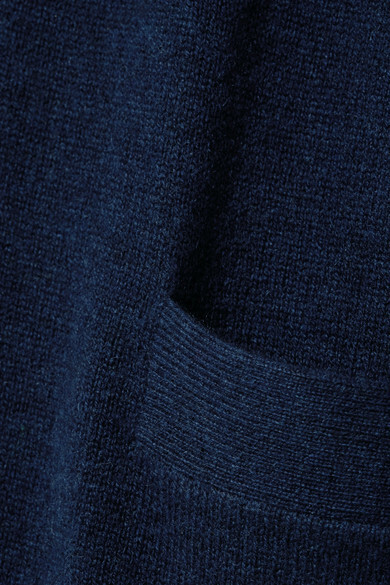 It's knitted from navy cashmere that feels so soft against the skin and has two patch pockets for your cell phone or keys. Wear it with everything from denim shorts to leather pants. 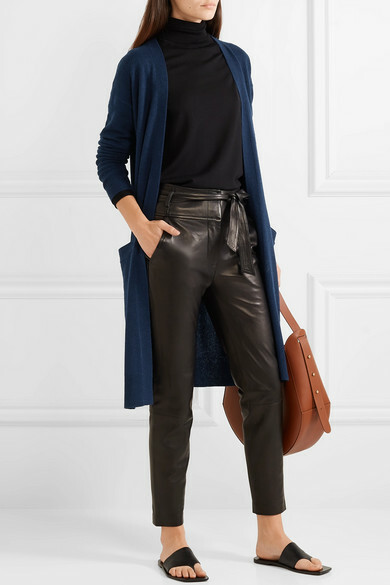 Shown here with: Veronica Beard Pants, Stella McCartney Sweater, Wandler Tote, The Row Sandals.